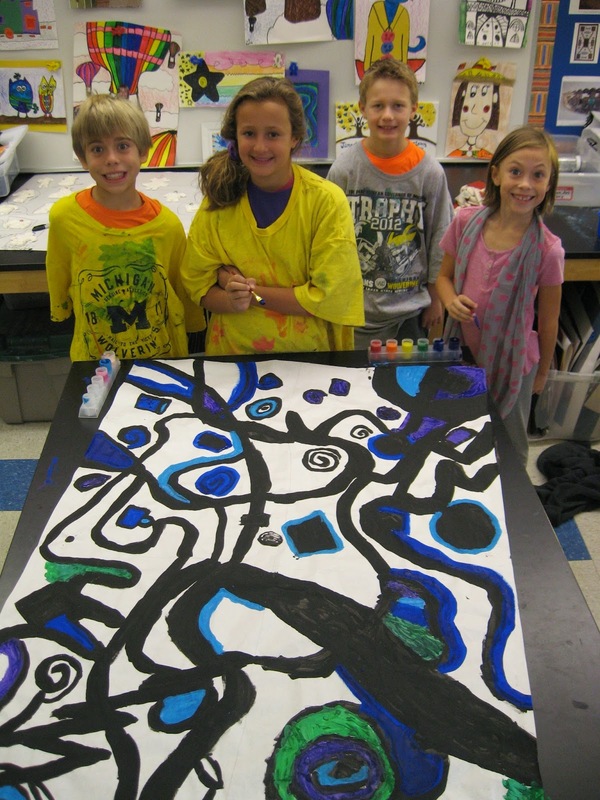 4th grade artists studied the abstract art of Wassily Kandinsky. The learned about his life and artwork. They even learned about a strange condition that he had called synesthesia cognate. This condition is one that a person's senses get mixed up and he/she can hear colors and see sounds. Because of this, he would always paint while listening to music. We worked individually to create our own personal abstract artworks while listening to music. 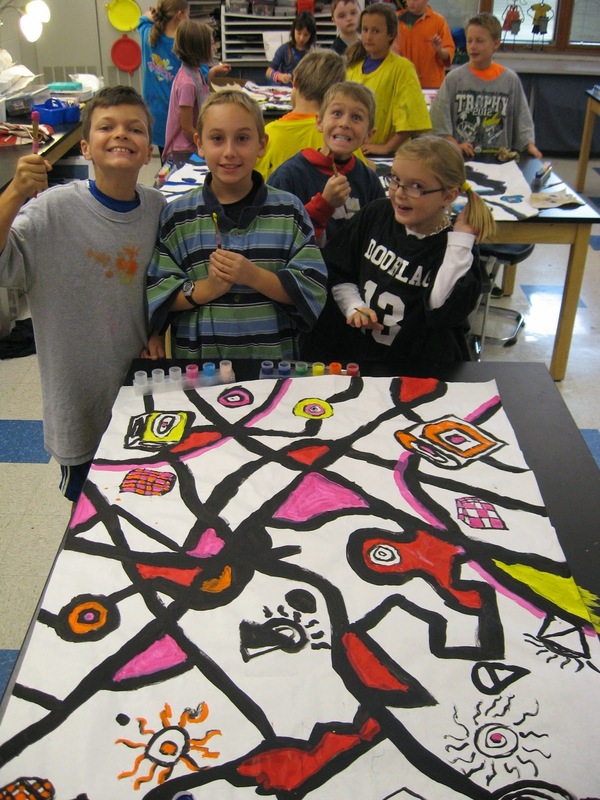 We then as a group, worked together to choose a color scheme and combine our smaller works into collaborative large abstract murals!